Celebrating What God has Done. 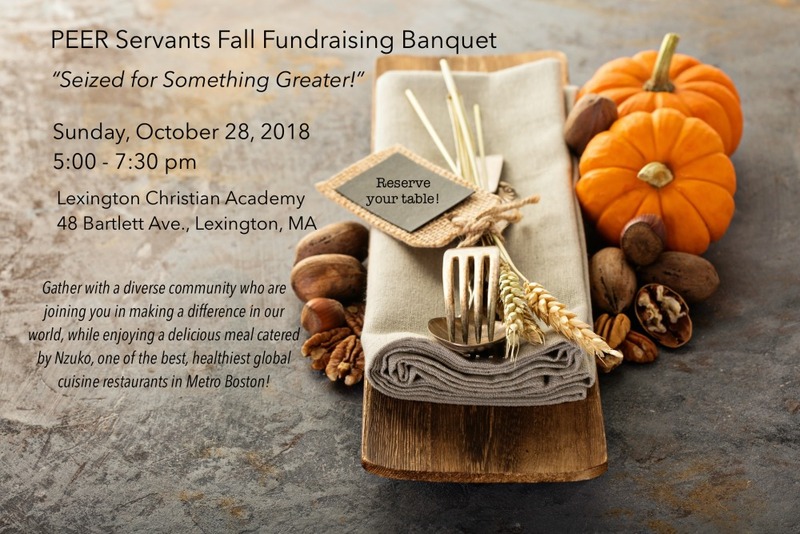 We hope you were able to join us on October 28, 2018 for what was an evening of great food and fellowship, global music, and inspiring stories which encouraged us that Jesus has seized us for something greater! Many took advantage of the opportunity to invest in the lives of inspiring micro-entrepreneurs, students, and young people from around the world through our Banquet Offering. The Offering raised over $100,000 to support programs that are empowering the materially poor. Our 2019 Banquet will be on Saturday, October 26, from 5:30 to 8:00 pm. Stay tuned for further details!